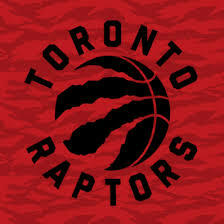 The Philadelphia 76ers and the Toronto Raptors will on Tuesday when at Scotiabank Arena. The 76ers have gotten off to an up and down start to the season and are looking for consistency. The Raptors were as hot as a team can be until Monday Night. They were 6-0 before losing last night. TV: 7:30 p.m. ET, NBATV, NBCS Philadelphia Plus, TSN (Toronto). Odds: Raptors are 6-point favorites. The total is 227. Toronto is no longer undefeated and they aim to get back on the winning track on Tuesday. Toronto set a franchise mark with a 6-0 start but the impressive streak reached an end with Monday’s 124-109 loss to the unbeaten Milwaukee Bucks. Raptors star forward Kawhi Leonard was rested on the front end of the back-to-back. He is slated to be back in the lineup against the 76ers. The contest was the second Leonard has sat out. He is regaining his fitness after playing in only nine games with the San Antonio Spurs last season because of a quadriceps injury. Philadelphia has recorded back-to-back victories and Monday’s 113-92 rout of the Atlanta Hawks may have been the team’s best performance of the young season. The Hawks held strong with the 76ers until midway through the 3rd quarter. Then Philadelphia quickly opened it’s lead. Philadelphia has started the season 4-3. Backup point guard Markelle Fultz flashed some of his potential against Atlanta. He scored a career-best 16 points in 23 minutes. Fultz was a big disappointment last season after being the No. 1 overall pick and Philadelphia is letting him run the team while Simmons is resting. That freedom is allowing him more freedom on the floor. Toronto badly missed Leonard, and his 26.6 ppg average, in the showdown against the Bucks. The team scored its fewest points of the season and putting forth a horrific showing from 3-point range. They shot only 9-44 from behind the arc. Leonard’s absence allowed power forward Serge Ibaka to get 21 shots and he poured in 30 points and also collected nine rebounds. He was one point shy of his career high scoring mark. Point guard Kyle Lowry recorded 15 assists, but scored a season-low nine points. He missed all nine 3-point attempts during a 3-of-14 shooting performance. The 76ers have dropped their past 11 visits to Toronto.